Blackberry has announced it will close its cloud music streaming platform BBM Music on June 2, after only 19 months of service, the decision to shut down BBM music comes after the Canadian technology company decided to make a “strategic business review”. 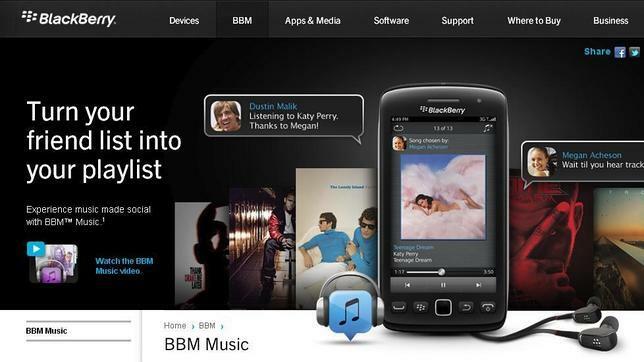 Blackberry (then Research in Motion) launched BBM Music in August 2011, a music service in the cloud that allowed users to create a profile long with 50 songs and share them with their contacts. It is still not clear why Blackberry is killing its music streaming service, we think it could be due to the great market share Spotify and Pandora have amassed over the last few years. The intention of BBM Music was to create a music library that could be played directly from the cloud or saved in a device, the price Blackberry charged was $4.99 a month which was not that bad. Will the closing of BBM Music affect you? Had you even heard about it?